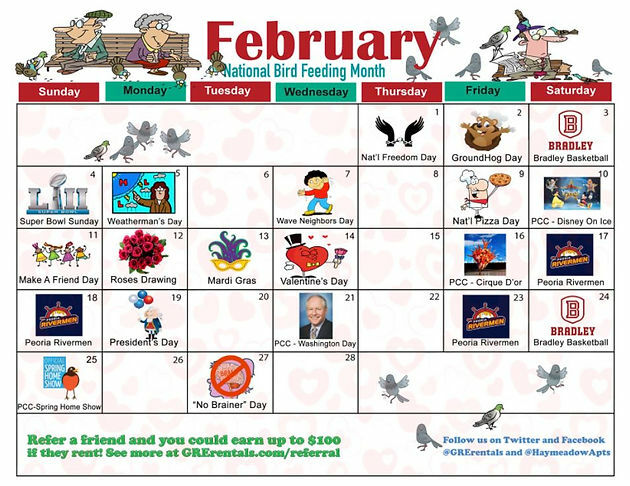 You may think February is the month for lover&apos;s, but we have it on good authority that February is National Bird Feeding Month. Of course, we know that because the February Calendar of Events is now available! 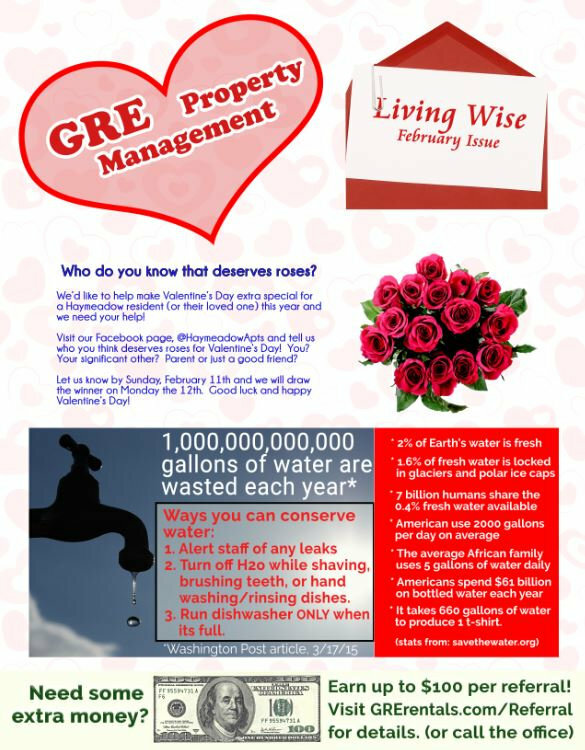 Coincidentally, so is our February Issue of Living Wise too! February is a busy month! As you can see, plenty of activities throughout the Peoria area, but there are also some important dates we&apos;d like to point out for you: February 1st (National Freedom Day - celebrating the date the 13th Amendment was signed by President Lincoln), February 12th (our Haymeadow Roses Drawing), just to name a few. Which brings us, friends, to this month&apos;s issue of Living Wise! In this month&apos;s issue, we discuss water conservation. This is something that effects everyone, and we&apos;re asking all residents to help where and when they can. We&apos;re also giving you a chance to win Roses for Valentine&apos;s Day! Just head over to our Facebook page (@HaymeadowApts) and tell us who you think deserves flowers. Then on Monday the 12th, we&apos;ll draw a winner! We hope you all have a wonderful February and thank you for stopping by, reading and sharing!